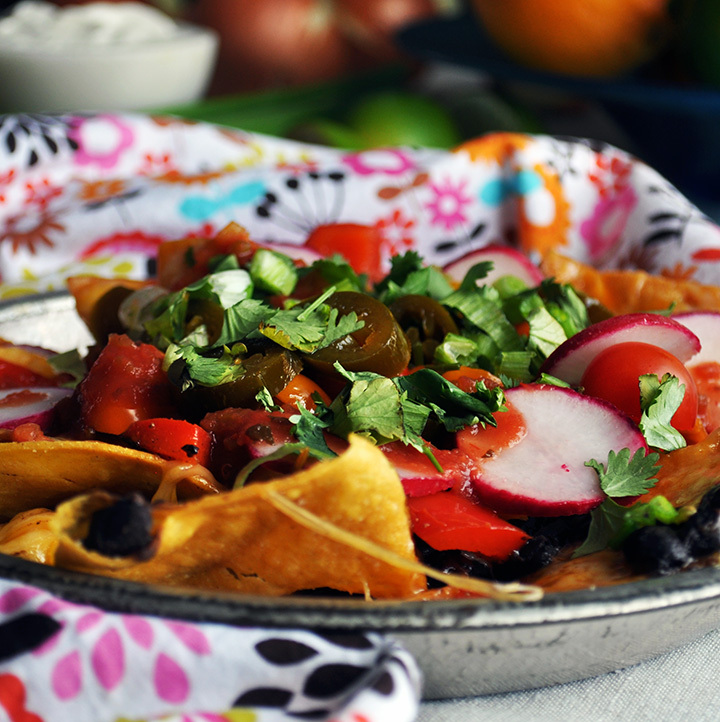 Veggie Black Bean Nachos. 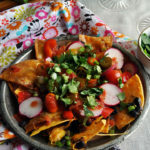 Turn any night into a party with thick, homemade tortilla chips loaded up with cheese, black beans, and tons of veggies. The first thing I want to say about these Veggie Black Bean Nachos is that frying up your own chips turns nacho night into a gourmet treat. Even still, it’s not necessary. Purchase some good quality tortilla chips and get on with things, if you prefer. But, if you’re at all open to the idea of making freshly fried chips – I truly hope you will. Homemade tortilla chips will only take you about 15 minutes, and you will not believe how much better they are than the packaged variety. Also, homemade chips are nice and thick, standing up well under the weight of all those veggies and black beans. 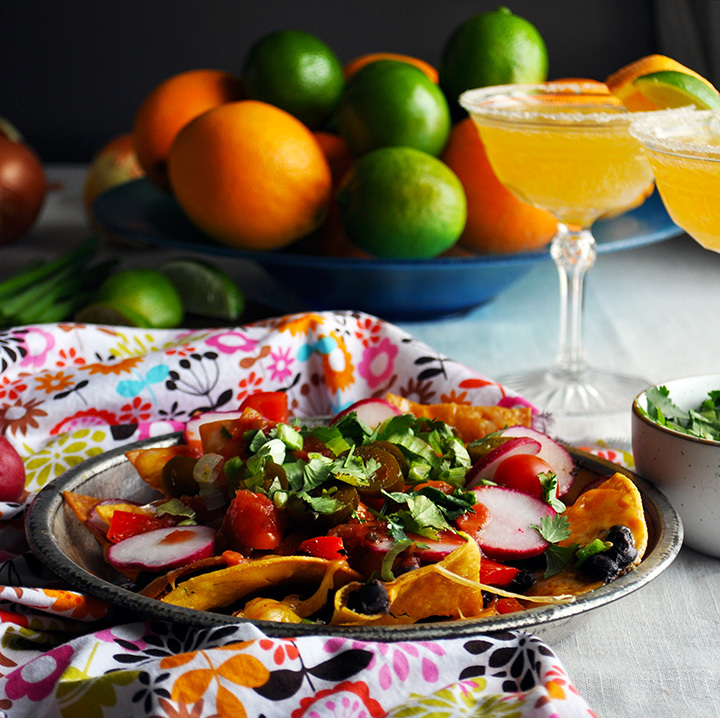 The second thing I want to say about these Veggie Black Bean Nachos is that a freshly squeezed Orange Margarita is the perfect accompaniment. Crank up the music, mix up a batch of margaritas, sip one while frying up some homemade tortilla chips, and pretend you’re on vacation. 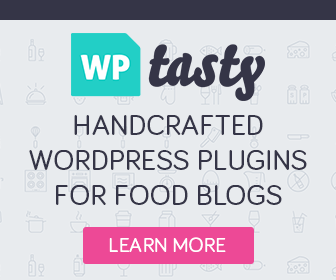 Because, with nachos and margaritas, you practically are. You have a choice to make about the black beans in these nachos that basically amounts to this: easy or easiest? 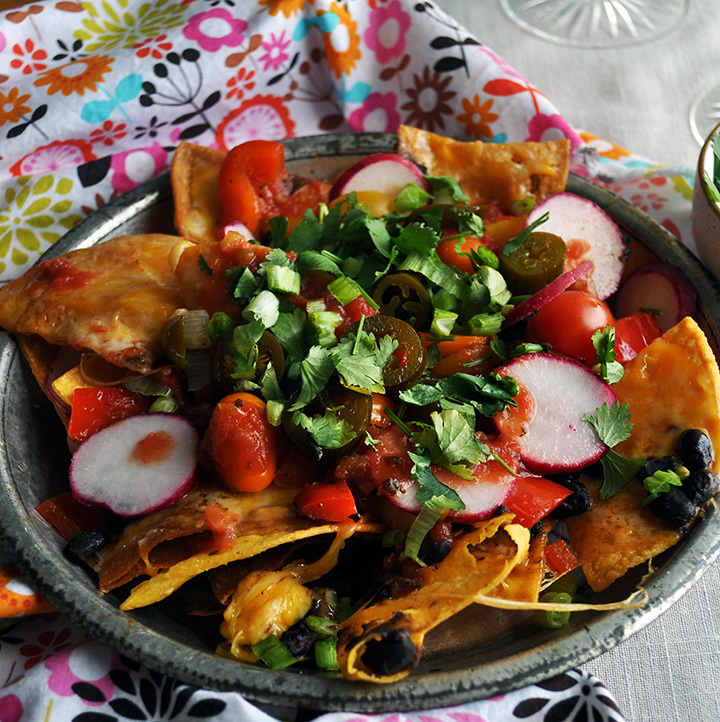 Top your nachos with Slow Simmered Black Beans or canned Black Beans. Totally up to you. Cooking black beans in a slow cooker takes about 5 minutes of prep work, then you just let them cook on low for about 6 hours. But, if you’d rather skip that step, go right ahead and use a can or two of black beans. One bonus to cooking a batch of dried beans (besides the flavor) is that this recipe makes way more beans than you’ll need for these nachos. This is GREAT because they freeze really well. Add them in 1 cup portions to freezer bags and pop them in the freezer for the next time a recipe calls for black beans. Cooking dried beans is a great example of spending less money for better, tastier food that requires a minimal amount of extra effort. If you’re making these as a part of Winter Meal Plan #5, one batch of slow simmered black beans will give you plenty for Green Chili Baked Burritos and Loaded Baked Potatoes later in the week. 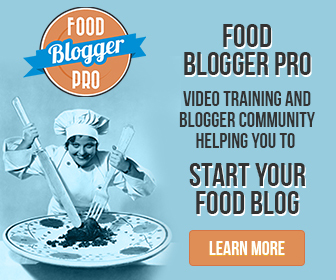 If you still have some leftover slow simmered black beans in your freezer from Winter Meal Plan #1, pull them out and use them, you lucky duck! Thaw in the refrigerator overnight, or place in a bowl of warm water for an hour or so before pouring them into a sauce pan and heating them on low to ensure they are completely thawed. 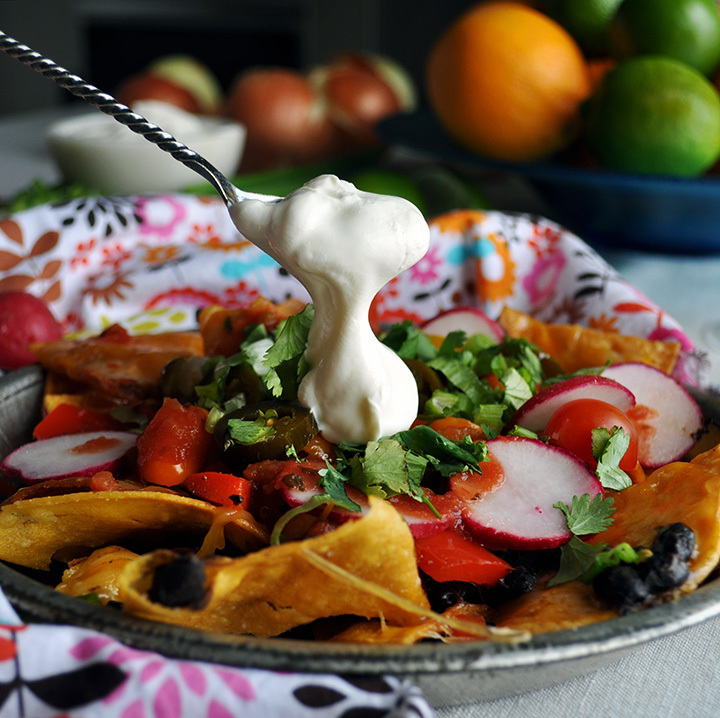 If you’re making this as a part of Winter Weekly Meal Plan #5, you should have some sautéed red peppers and onions in your refrigerator reserved just for these nachos. If not, you can either take 10 minutes to sauté a few slices of red pepper and onions, or chop them up and serve them raw. Either option is delicious. The other veggies in the recipe ingredient list are all optional. They can easily be swapped out for whatever strikes your fancy. The last thing I want to tell you about these yummy nachos, is that the cheese really can be optional. I know it sounds crazy, and cheese lovers everywhere are gasping for breath at the very suggestion, but if you are trying to cut back calories, or simply not eating cheese, just pile on the black beans and veggies, and you’ll never miss the cheese. 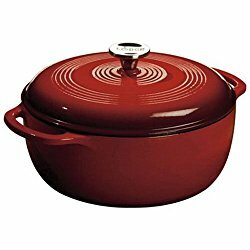 I like to use my dutch oven for frying the chips, but any heavy bottomed sauce pan or deep frying pan will work. The deeper the better, to protect yourself from spattering oil. 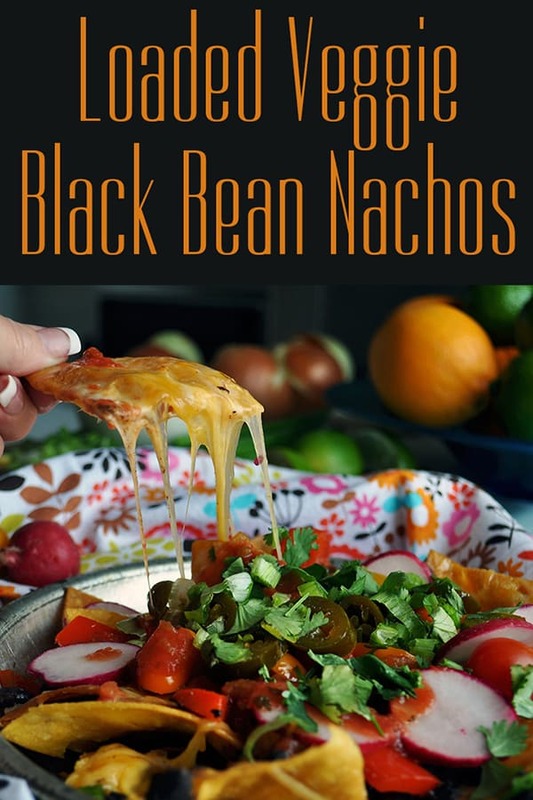 The first is to lay all the ingredients out and let each person assemble their own plate of nachos: Add some chips to a microwave safe plate and top with a handful of cheese, black beans, and sautéed red peppers and onions. Heat in the microwave for 1-2 minutes to melt the cheese and heat the beans and vegetables. Top with whatever other ingredients you like. The second option is to preheat the oven to 350 degrees. Lay all the chips out on a baking sheet in an even layer. Top with cheese, black beans, and sautéed red peppers and onions. 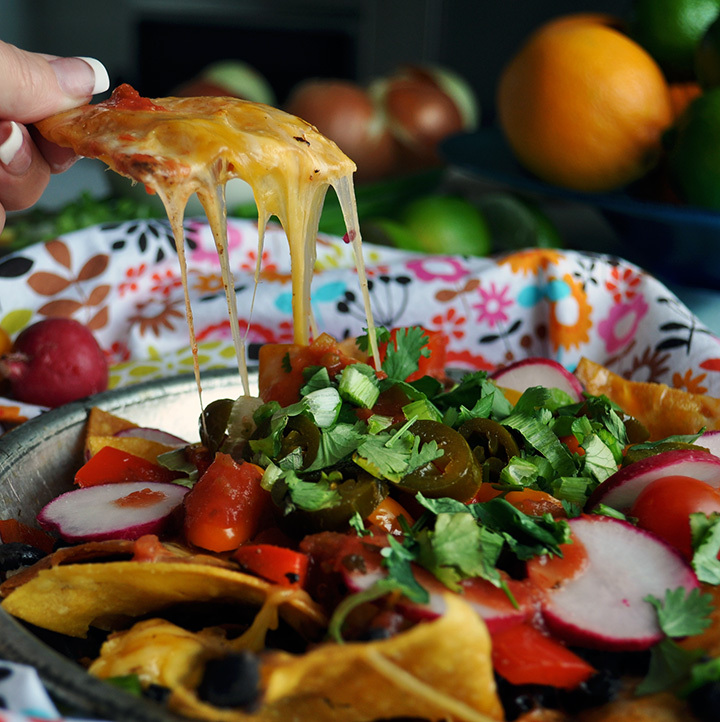 Cook the tray of nachos in the oven until the cheese is completely melted. Remove from the oven and let each person add some to their plates before topping with additional ingredients. A bag of tortilla chips can be used instead of making homemade chips. If you are making homemade chips, you’ll want approximately 12-16 chips per person. Since each corn tortilla makes 4 chips, you’ll need 12-16 tortillas for a family of four. BUT – I strongly suggest you make more than that because while you’re cooking them, your family will come along behind you and sneak a few. Who are we kidding? You will too.